As some of you may recall me saying previously, that I have a grand-daughter on the way. So my daughter has put in a request for baby decor. 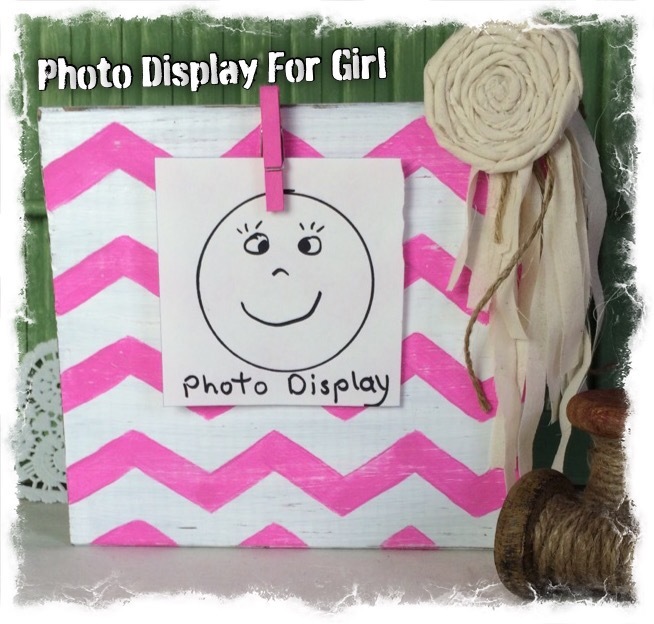 Pink, white, grey chevron photo display, or polk-a-dot pattern. 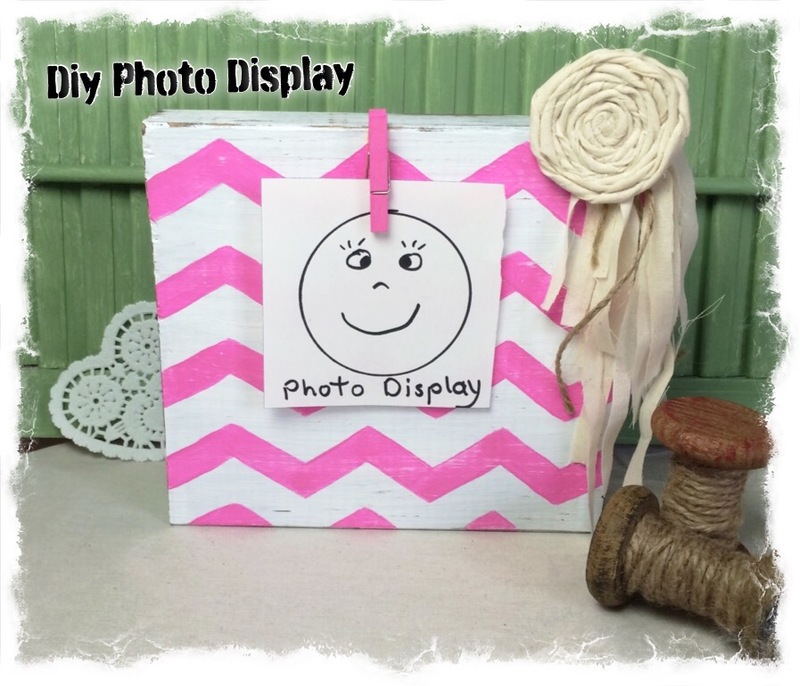 This is a photo block display that I came up with that has the chevron pattern. This diy project was simple, and if you have a chevron stencil that would make it even simpler. (I do now) This one was all drawn off and painted by hand. Michaels has a great collection of stencils, and if you bring up the Hobby Lobby 40% off coupon on your phone or print it out, they will honor it. Can’t beat that! * I used a 2 by 8 cut 8″ and gave it a quick sanding. * Paint the block with burnt umber acrylic paint. The burnt umber will show through later when you give it another sanding. * Once dry I painted the block white. * Then I made me a chevron pattern out of paper and drew the pattern off on my wood block. * Painted my chevron strips with pink acrylic paint. * Once dry lightly sand the edges, sides and front of your block, till you get the shabby look you desire. * I made a fabric rosette with muslin and hot glue. * I cut thin strips from muslin fabric different lengths. * Gather the muslin strips making them even on one end. * Using a piece of wire about 4” long, wrap it around the end of the muslin to hold the strips together leaving a 1” tail. * Drill a hole just a little larger than the wire on one side of your block. * Add a dap of wood glue to the end of the wire and stick the end into the hole, letting the muslin strips hang down one side of your block. * Use hot glue and glue the rosette onto the muslin wire wrapped end. * Once the glue dries, lay down flat and using your wood glue again, and glue a small wooden clothes pin (painted pink) at the top of your block. That’s it!!! Very easy project. 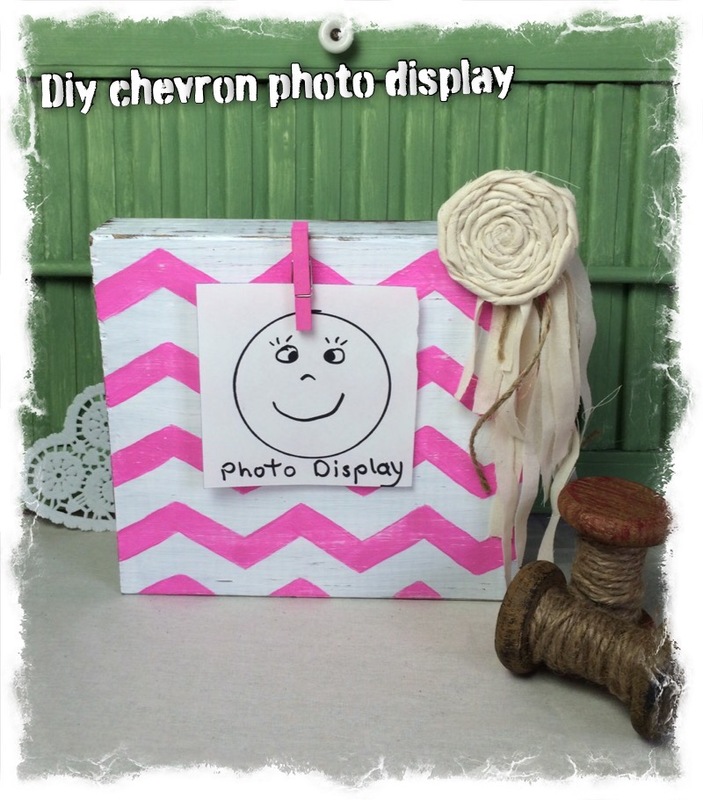 How do you like my Chevron photo display block?